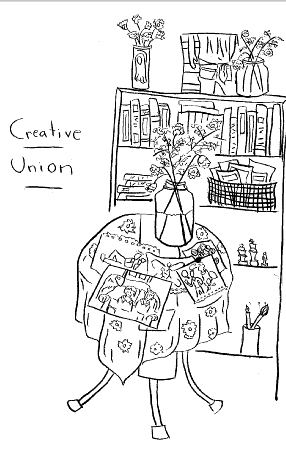 I am a collective member at the amazing, volunteer-run Papercut Zine Library in Cambridge, MA. PZL is a fully functioning lending library with over 14,000 zines in circulation. I also make my own zines, some of which are available for distribution (in hard copy or pdf). I donate all proceeds from zine sales directly to Papercut, but I’m also open to doing trades. Email drawmedy(at)gmail(dot)com to order a zine. 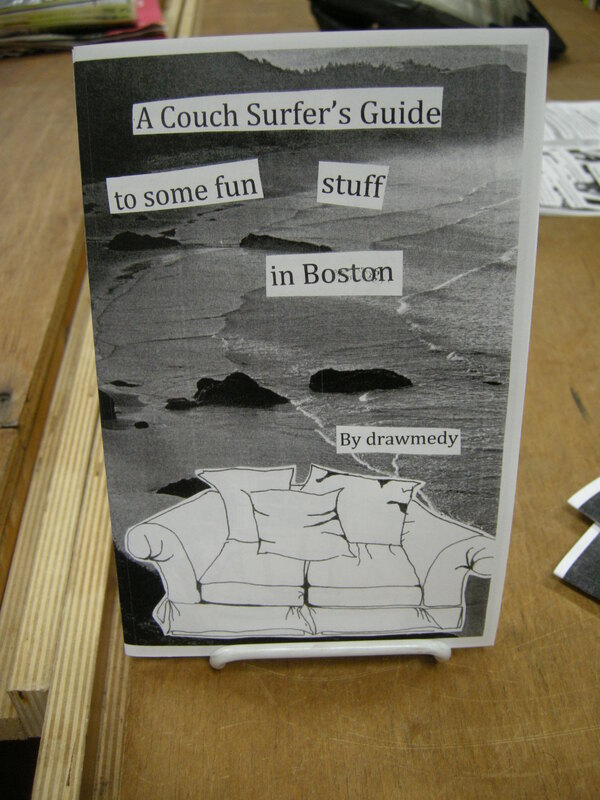 I started hosting couch surfers last summer and made this zine as a little guide book to Boston for visitors. 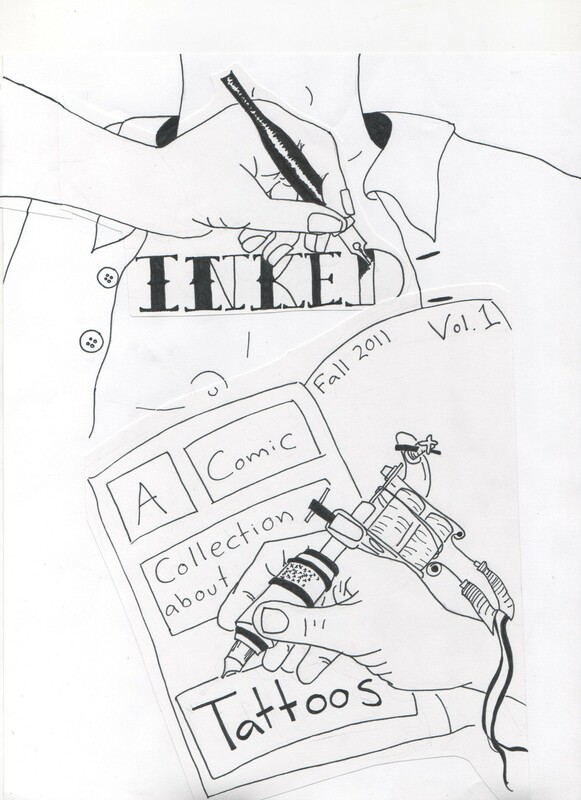 I made this zine after getting my first tattoo. See a review by cartoonist Matt Reidsma. It is available through Microcosm Publishing. 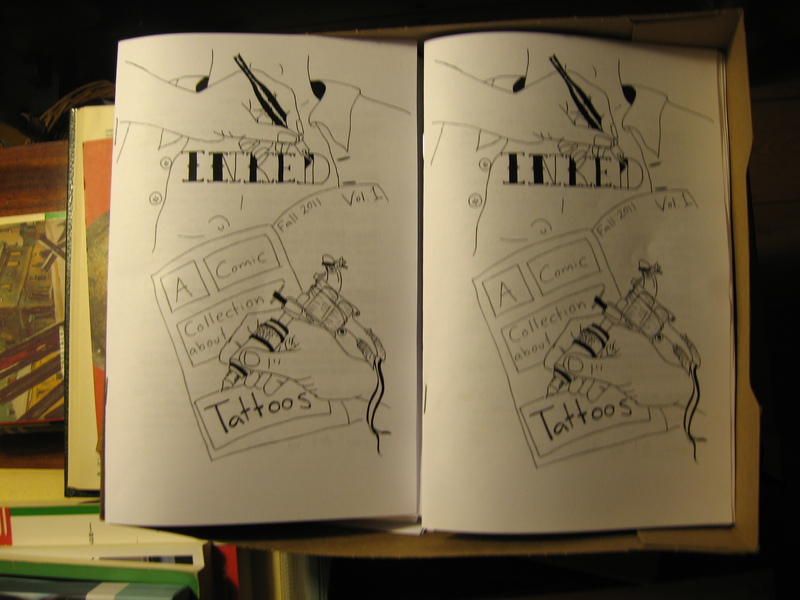 A comic anthology about tattoos! 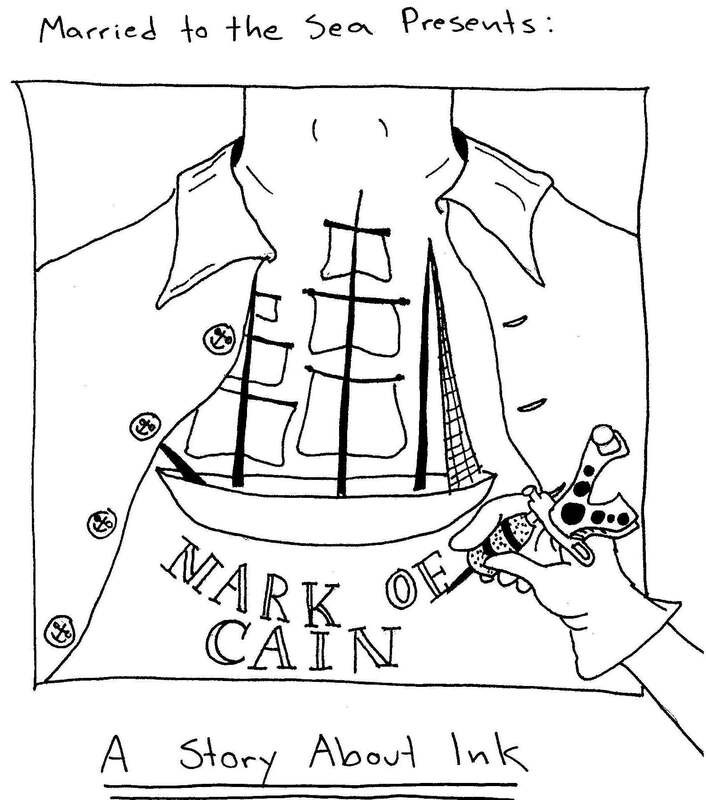 I solicited contributions for this after making Mark of Cain. My partner and I made this zine on the occasion of our 10th anniversary to explain our decision to not get married. 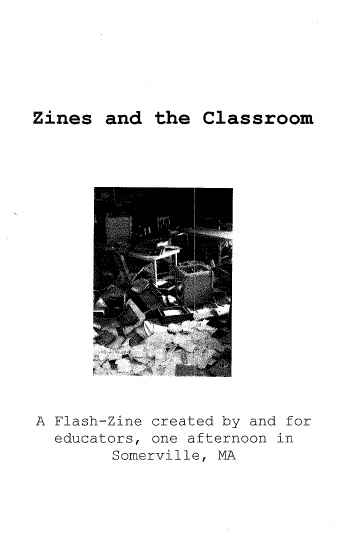 This is a collaborative “flash zine” made with participants in the workshop for educators I ran at PZL.